– support the industry through networking, training and signposting. and a Twitter following of over 1600. Many members are singing the praises of the Network and how it has already helped their business, through practical help, collaborative support, promising contacts, and new orders. It is hoped that, in time, the area will become known as a food destination to go alongside its world class tourism destination status. 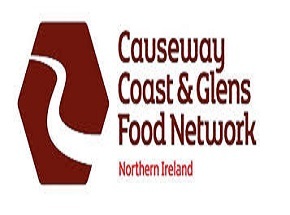 Please visit their website to download a copy of our latest local food guide “A Taste of the Causeway Coast and Glens” which includes information on food & drink producers, food tours, cookery schools and markets.